Hello from the Pottery Studio! October 16th is almost here! The Empty Bowl Event on St. Simons Island is happening at Glynn Visual Arts!! It is very exciting! Empty Bowl Events have been happening across the country for over 27 years with the goal of potters and their community to help end hunger. This is our 4th annual event. We have over 300 bowls made by local potters, and by people in Glynn County. They paid $25 to learn how to make a bowl, and then donated it back to the studio to be glazed and fired. At Empty Bowl Event on October 16th, they’ll be able to look for their bowls and buy them back so they can have their soup dinner in it. And at the College of Coastal Georgia, where I teach ceramics, I always invite my students in the Introduction to Ceramics/Intermediate Ceramics class to donate their first assignment to the Empty Bowl Event. They love the opportunity to make a difference with their art, too! All proceeds from the event go to America’s Second Harvest Food Bank and benefits Glynn County. 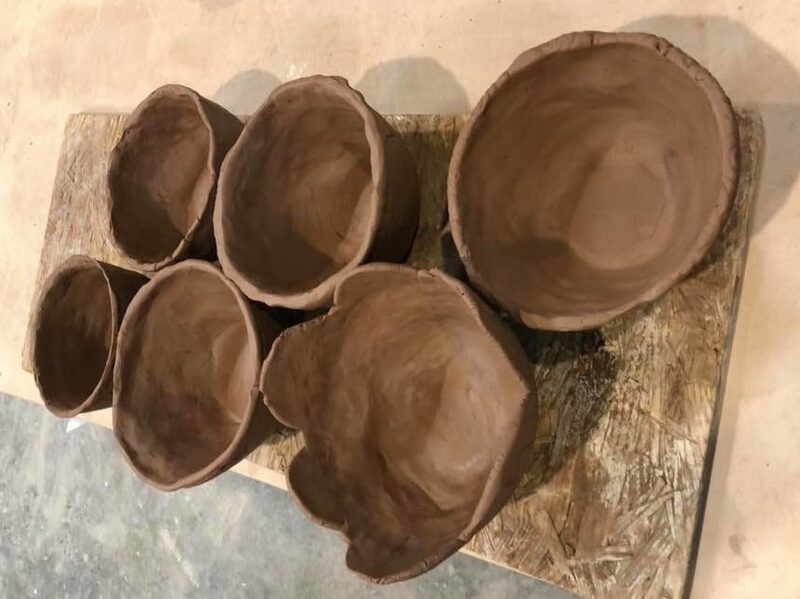 During the summer, I had the privilege of teaching the “Hand Made 4 the Hungry” classes at Glynn Visual Arts on St. Simons Island, GA. People in our community, most of whom had never worked in clay, turned out in droves to learn how to make a bowl! It was a fun and creative way to make a difference! The bowls from the classes were hand built and are as unique as the folks who made them. During the classes, there is so much joy, laughter, and community with people coming together for a common cause. Powerful! It is such a privilege to share my passion for clay with others who desire to make a difference in our community! Love it!